This weekend, Dice Raw of The Roots is hitting the stage, headlining New Freedom Theatre‘s latest production, “The Last Jimmy.” A hip-hop satire, “The Last Jimmy” tackles the emotionally-charged subject of mass incarceration of African-American males in the US. The hip-hop musical odyssey travels through the plight of the court experience of young African American males, and the American prison system expressed through song, music, and dance. The production was written by Phillip Brown, includes original music and lyrics by Dice Raw of the Roots Crew and is directed by noted Philadelphia-based director, Ozzie Jones. Dice Raw’s highly-acclaimed concept album “Jimmy’s Back” is the centerpiece for this entertaining and thought-provoking production. A popular and present artist on the Philadelphia music scene, Dice Raw raw’s signature style of rap was first heard alongside Philly’s famous hip-hop band, The Roots. 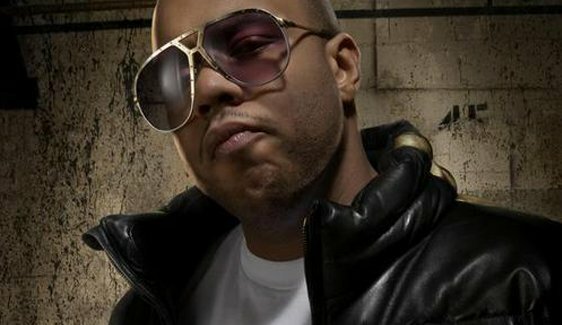 Dice made his industry debut on the hit track “The Lesson, Pt. 1.” And soon after, he made a name for himself with his distinct cameos on “Adrenaline” and “Lockdown,” where his hard-hitting style worked perfectly alongside the heady rhymes of Roots frontman Black Thought. Along with Dice Raw, the production features a stellar lineup of Philadelphia talents, and after each performance audience members are invited to stick around for a post-show talkback discussion. Each discussion will feature a panel of experts on the African American male experience in the criminal justice system. Since 1966, New Freedom Theatre has trained generations of black creatives and presented productions that give voice to the African-American experience, and make it accessible for all. Certainly, “The Last Jimmy” is no exception. Don’t miss this groundbreaking work featuring many of Philly’s best talents on one stage.